The Department of Veterans Affairs offers a myriad of benefits to veterans. 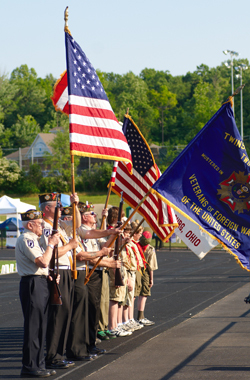 As a general rule, a veteran is defined as someone who served in the armed forces of the United States. Reservists and National Guard are generally not considered veterans for benefits purposes except under certain special conditions. For some benefits, up to 2 years or more of service is required. We will not list here all of the options available for veterans. The reason is that our particular organization concentrates on helping senior veterans and many of the services or cash programs available such as educational benefits, work rehabilitation and so forth are generally not now available to veterans who served a long time ago. Compensation is probably the most applied for benefit for all veterans and eats up about 40% of VA's annual veterans benefits administration budget. This is a disability income for veterans who are disabled because of service. Most senior veterans will have had an opportunity to apply for compensation earlier in their lives. However, some may be eligible who have never applied. Others who are receiving compensation may have seen an increase in their level of disability and can reapply for additional monthly income. 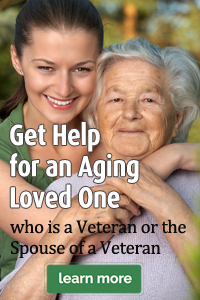 There are also benefits available to surviving dependents of veterans, in particular a surviving spouse. Here is a list of veterans benefits that are more applicable to senior veterans or their surviving spouses. Click on each option below to learn more about it.